CUSU International invites you to its annual food festival! The International Food Festival is an evening for all international societies to come together and serve their national cuisine to students. 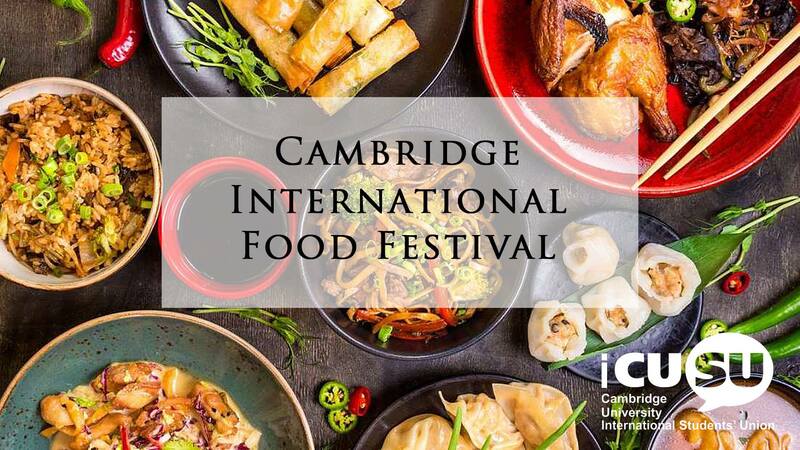 Join us and bring your friends for a fun evening tasting multiple national dishes, cooked by international Cambridge students. The £5 ticket includes £4 worth of food coupons to purchase at different stalls in side the venue, cutlery and entry fee. Due to hygiene concerns, cash is not accepted at the food stalls. You can purchase more coupons inside the event venue. There will be two entry periods from 6:30pm – 7:30pm and 7:30pm – 8:30pm, as requested by the venue to maintain controlled traffic. Ticket number is also limited due to traffic control, so please grab them to avoid missing out!